A narrow palate can result in a patient’s face looking narrow. The smile may look narrow and not all teeth will show when the patient smiles. This is where a palatal expander may come into the treatment plan during orthodontic treatment. The device fits on the upper row of teeth and literally works to widen the palate. The forces it places on the sides of the top row of teeth expand the maxilla and push the teeth outward to create a wider palate and smile. The results, coupled with orthodontia and straightening of the teeth, can work together to create truly beautiful results. This treatment helps to allow the upper and lower jaw to fit together harmoniously. Depending on your individual treatment plan, you may be instructed to turn the key to the palatal expander once every day during your treatment. This will help to gradually expand your palate. 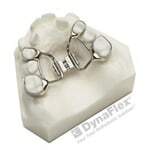 The treatment must be gradual because the process of widening the upper jaw is a gradual one. An expansion screw located in the middle of it. A key is required to turn the screw and you will be given specific instructions as to when and how often to turn the screw. As the jaw widens, it is normal for a space to develop between the front two teeth. When coupled with braces, the space will eventually close. It is normal to experience some pressure on the teeth during this treatment process. Treatment time may be around nine weeks or more depending on your individual case. The device is usually fixed instead of removable, as these are usually more effective. The device may look a bit intimidating at first, but the process is painless for the most part. Some discomfort is to be expected, especially because it is an adjustment process in the first week or two. Pressure behind the eyes and nose is normal, but this discomfort usually subsides relatively soon. One the treatment is complete, many patients remark on how much more space there is and many patients will be much more comfortable with their widened arch. The results are also very attractive, as a beautiful and wide smile is highly desirable.